Just when I thought the Ikkyu shoyu ramen was more than enough to keep me coming back to Ramen Ikkyu, Haru-san comes up with more awesomeness! A few weeks ago, Ramen Ikkyu released a special ramen range. Chef Haru was kind enough to invite me to try some of the new specials. 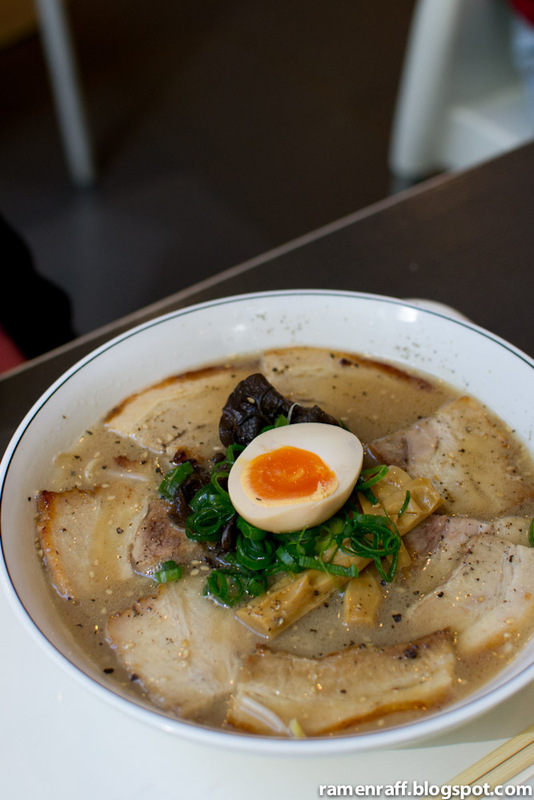 The chashu ramen ($16) uses the Ikkyu shoyu ramen as a base but with more slices of their delicious Ikkyu chashu. 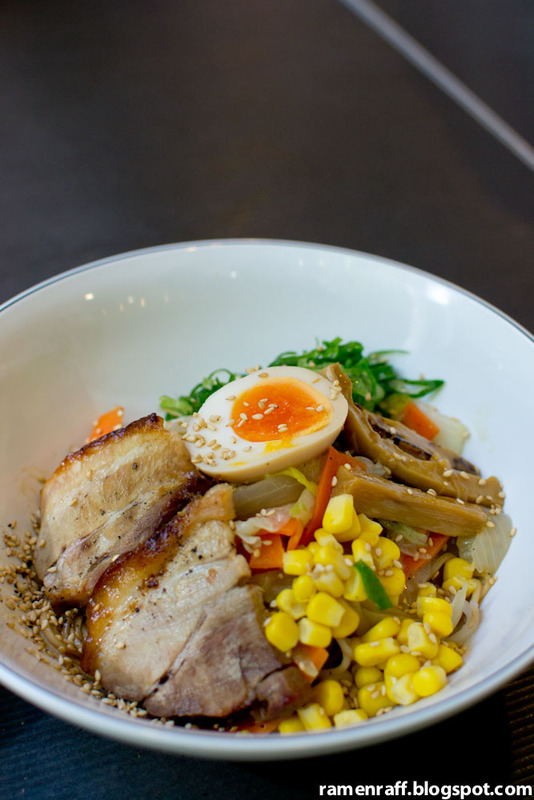 You get multiple hits of their chashu's slightly smoky and sweet caramelised flavours. The more meat the merrier! 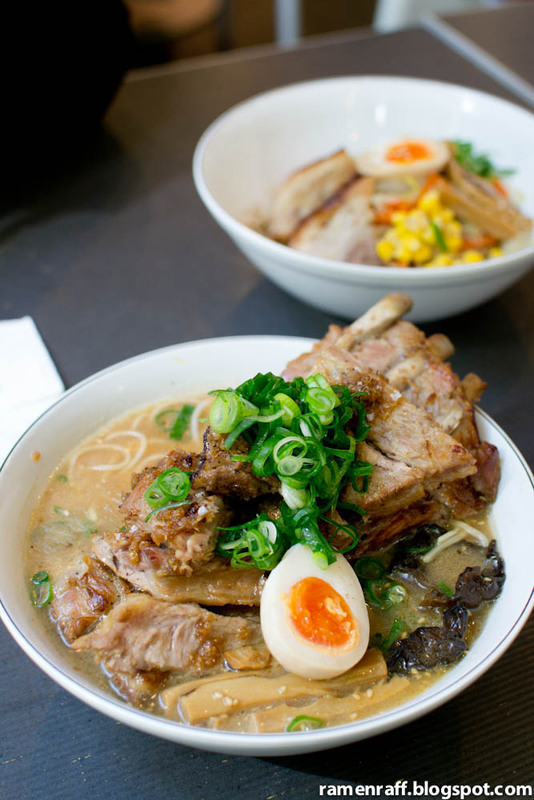 The pork rib ramen ($20) also uses shoyu paitan soup as its base broth. 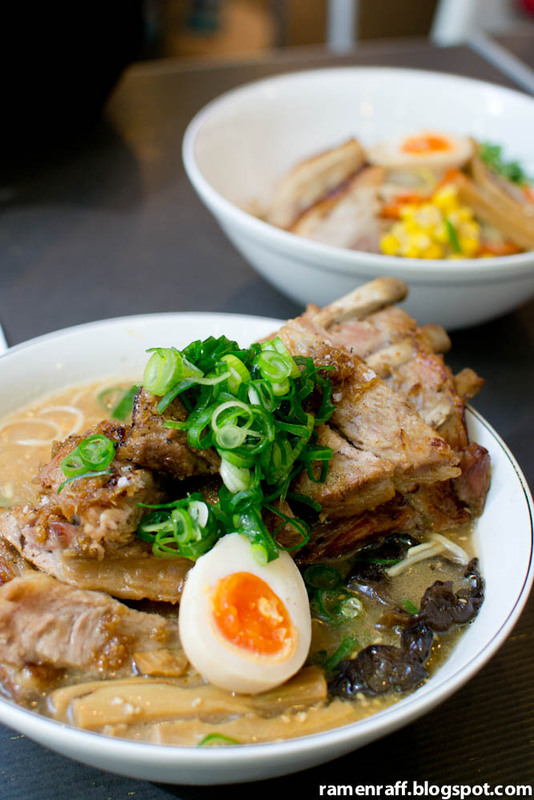 It's pretty much like their Ikkyu shoyu ramen but with a massive slab of twice-cooked ribs. The ribs has been braised in a special stock for many hours and then lightly seared. The meat is so tender that it fell off the bones. It was flavoursome and slightly sweet just like their chashu. Last but not least is their sweet and spicy dry noodles ($14), which is also known in Japan as abura-soba. It is dry egg noodles dressed with any sauce or oil but Ikkyu uses a sweet and spicy sesame oil and shoyu for theirs.Then topped with chashu, soft boiled egg, bean sprouts, corn kernels, sautéed onions and carrots. It is mind blowing! Another kind of perfection in it's simplicity of both presentation and taste. The combination of sesame, light soy, sweet, spicy and more sweetness from the veggies works together in harmony to please the taste buds. After trying some dishes from the special ramen range, I'm very keen to return to try the rest! Chef Haru Inukai has harnessed his cooking prowess and techniques once again to take ramen dinning experience to another level. Ramen Raff dined as a guest of Ramen Ikkyu. There can never be enough cafés! I especially like those joints tucked away on laneways. There's a sense of privacy and solitude that way. 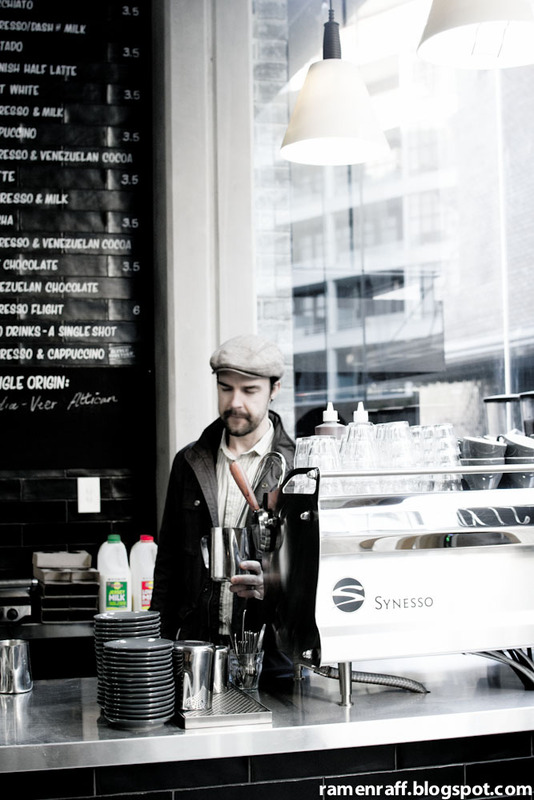 Sydney has a lot of awesome places for coffee and another one has been added to this list. A clothing retail group called The Stables D.S. Co-Op had recently opened a coffee shop called The Stables Café. Thanks to a tip from my friend Jet and rugbyflecher on Instagram, I headed to The Stables Cafe for a visit on its first week of trading. 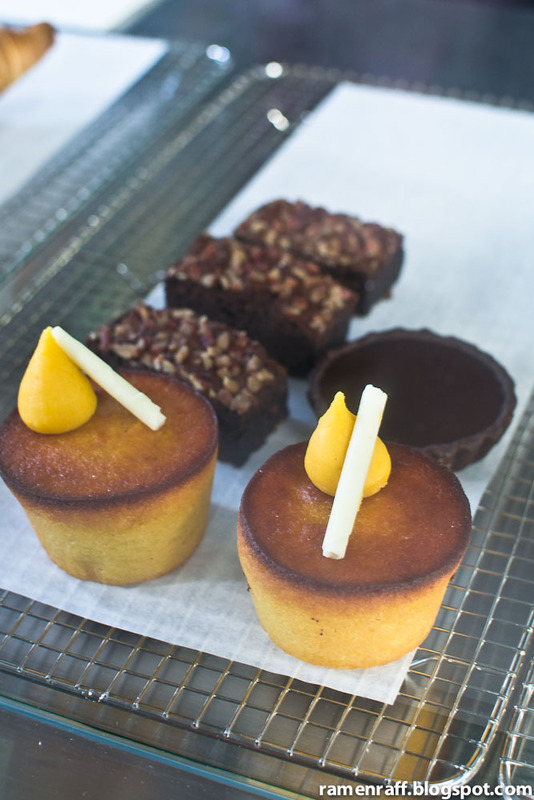 It is located on Bourke Street, Surry Hills (entrance is via Hill Street). 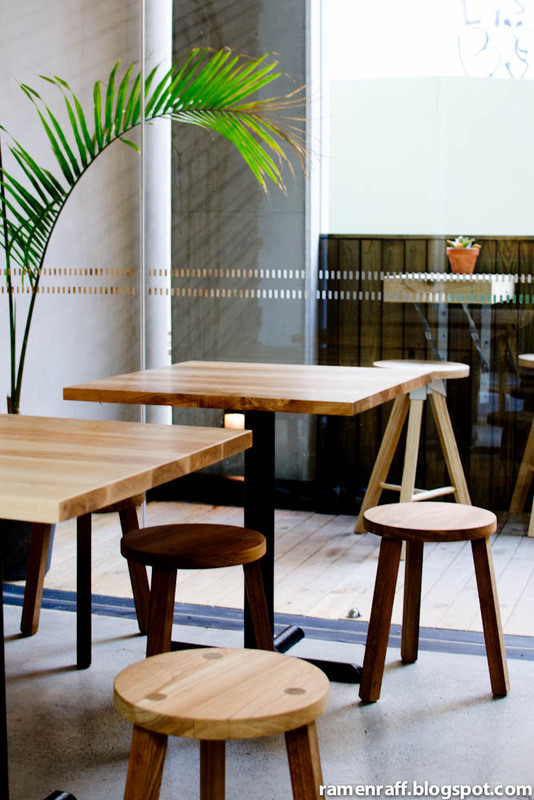 I really like the space with its minimalist look, high ceilings, nice wooden chairs and tables. 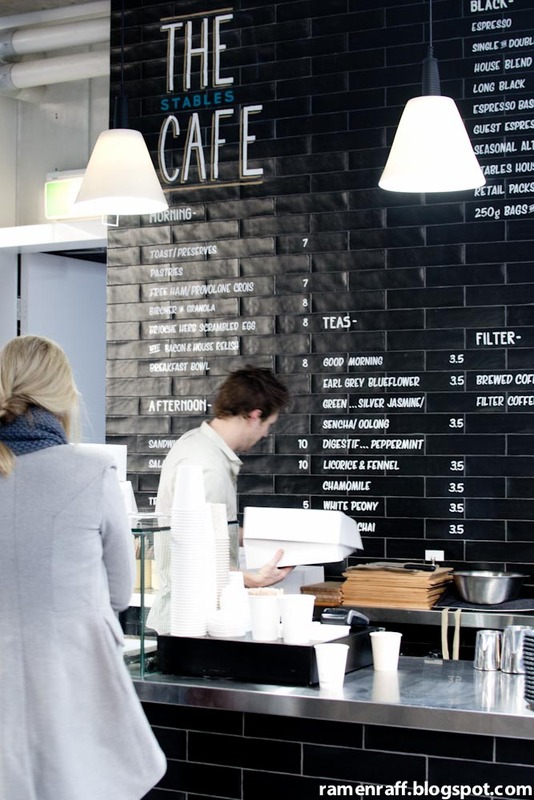 I especially liked the black tiled wall with the menu written on it. 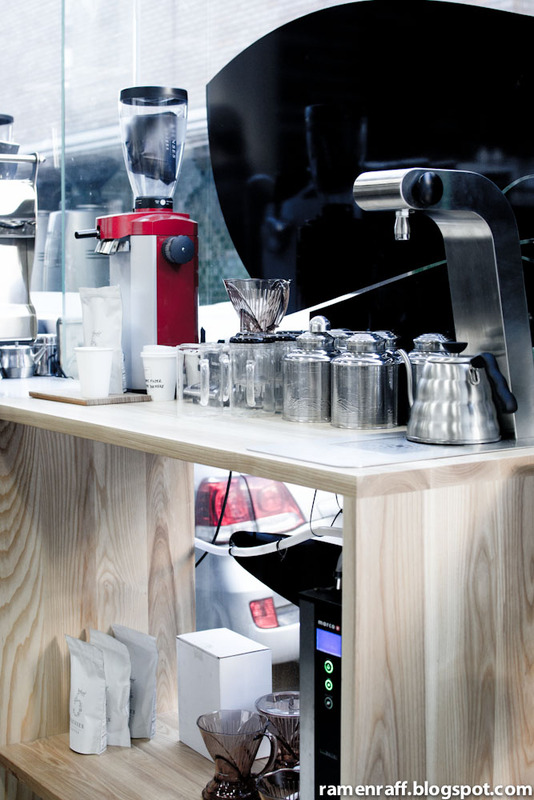 They have a space for their coffee lab where they do coffee drips, aeropress etc. Dan (one of their baristas) whipped up a flat white ($3.50) for me with double ristretto using the Compton road blend beans from Five Senses. 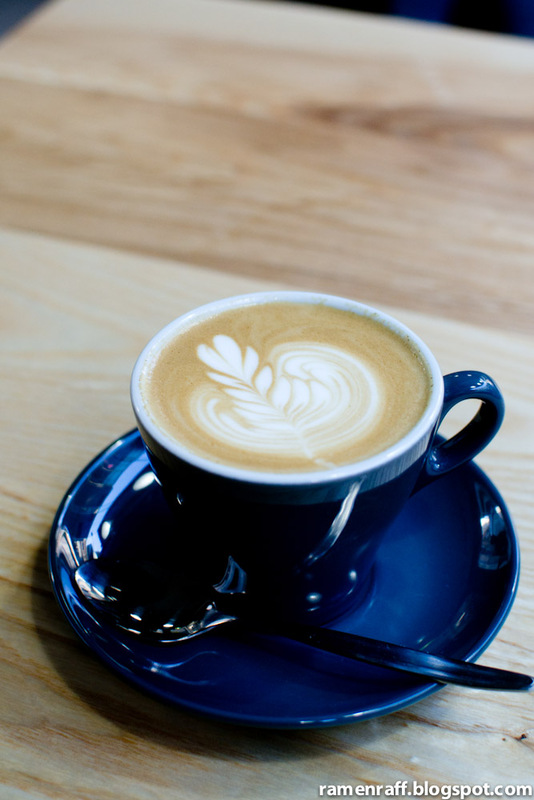 This is definitely in my list of top flat whites in Sydney! The milk temperature was perfect with the thin velvety froth that I love. It had a full body flavour with hints of sweetness at the end of every sip. 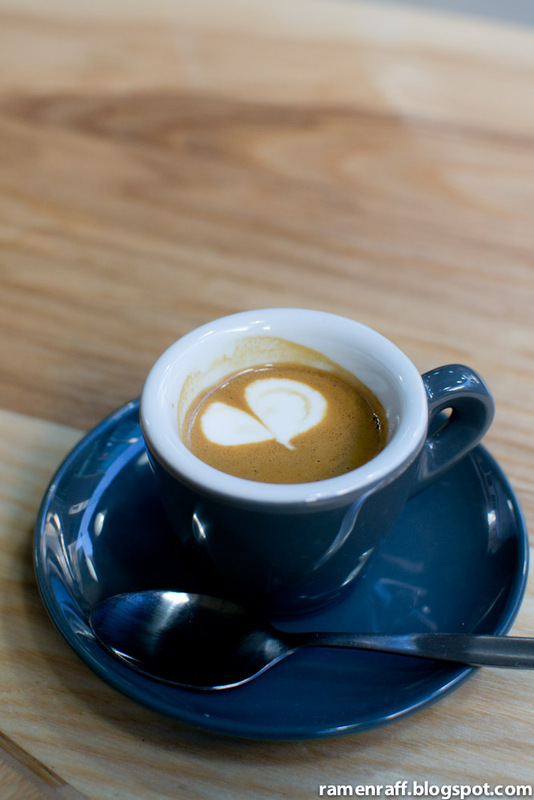 I also tried their single origin (India veer attikan) as a macchiato ($3.50). This single origin is also from Five Senses. It was easy on the palate with notes of toffee and nuts. It had an aftertaste that included hints of milk chocolate and spice. This is totally worth a try if they ever have it again! The Brioche bread scrambled egg with bacon and house relish ($8) was also pretty amazing. 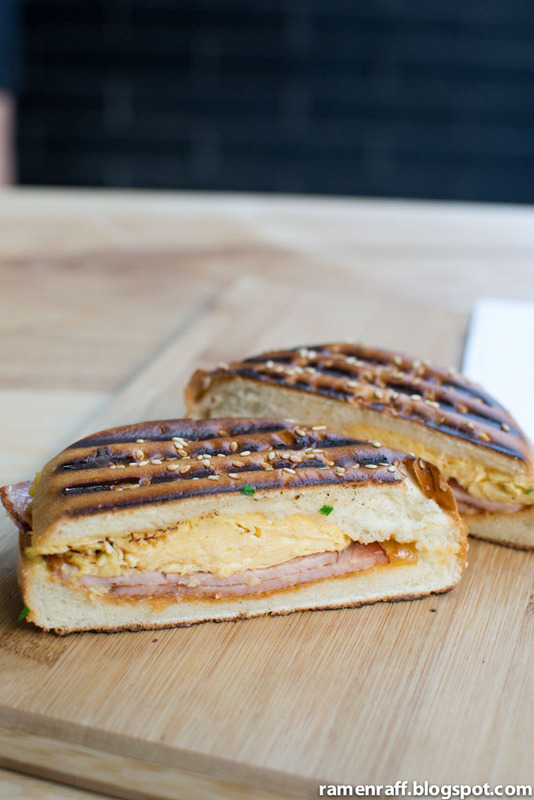 The house relish used for this sandwich is what sets it apart from most bacon and egg sandwiches. The relish is a little bit tangy with hints of spices. 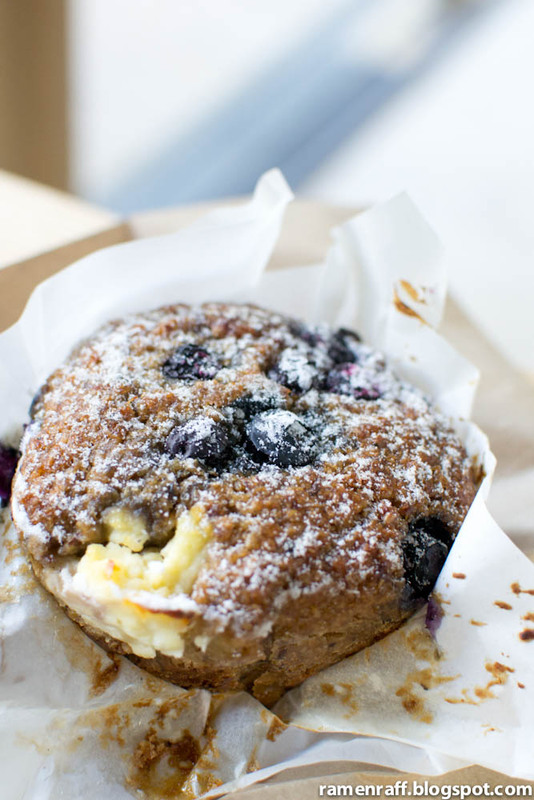 The ricotta, blueberry & bran muffin is gluten free and I've been told is quite popular. It's dense in texture and it's like having a banana muffin but flourless. 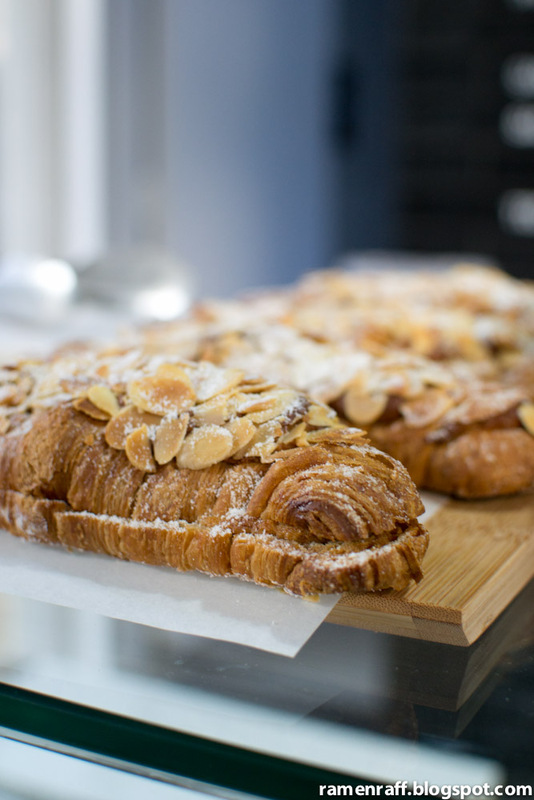 With the quality of coffee and food, The Stables Cafe will definitely be a hit! 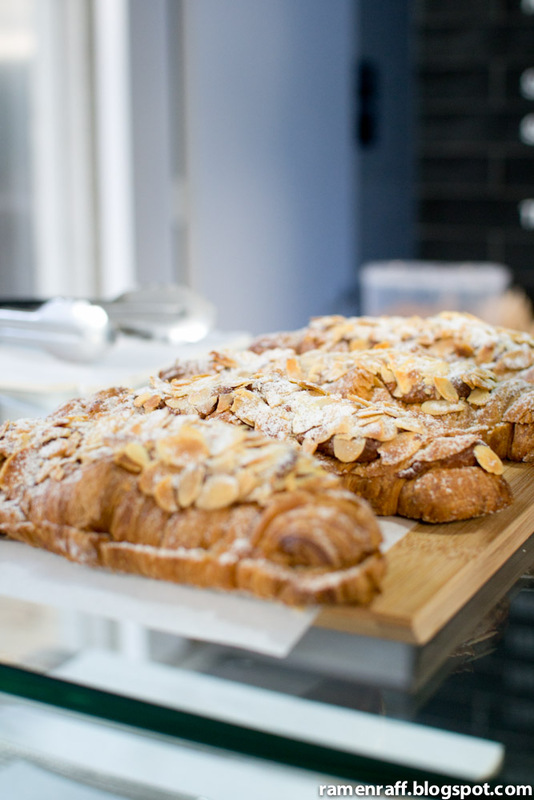 My next plan is to visit them for lunch to try their other sandwiches and the epic salted caramel choc tart that Grab Your Fork has also mentioned on her blog post.